Pioneer said one of the key feature of the SC-1222 and SC-1522 is the integration of class D(3) technology, which makes it ideal for custom installation. 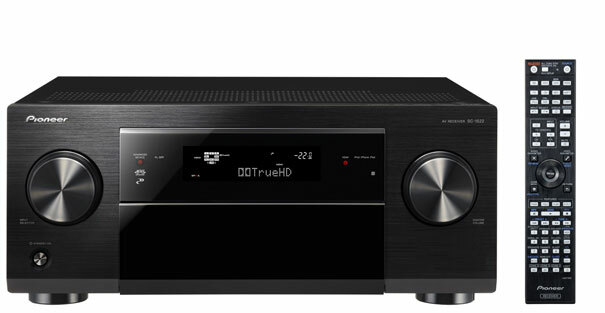 According to Pioneer, both receivers are design to maximize the audio potential of uncompressed sources such as Blu-ray Disc and online high definition audio content, while using less energy than other models. On top of their support for DLNA, Windows7 and Airplay; owners of the new SC receivers will have access to endless music entertainment with Pandora internet radio, vTuner plus access to Sirius XM subscription radio. Also available from Apple’s App store (at no extra cost) are: Pioneer’s iControlAV2012 and Air Jam. iControlAV2012 enables users to control power, volume and sound modes, control content on attach storage and from the internet. Air Jam can pair up to four devices simultaneously via Bluetooth to share their content. The models also use Pioneer's Advanced Video Adjust to optimize video signals by the type of display connected and the Stream Smoother feature to enhance the picture quality of any source downloaded from the Internet via other devices. The incorporated Marvell Qdeo processor produces true 1080p/24fps video. A 4K Pass through built in to the SC-1522 ensures consumers have the most up-to-date technology to take advantage of advanced digital formats. Customizable Benefits Users have full customizable options for their home theater experience with as many as ten different configurations (SC-1522) to create a full 5.1-channel setup with the ability to use the remaining channels for additional zones. Both models offer entertainment options for up to three zones, with Zone 2 providing composite video output and the ability to handle network and USB content, and Zone 3 offering analog audio input sources. The SC-1522 gives users the option of a dedicated Zone 2 subwoofer output in addition to the two dedicated subwoofer outputs for the main zone.